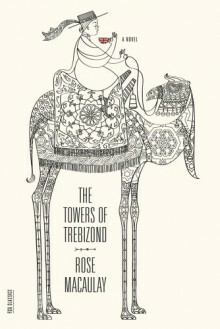 Hailed as “an utter delight, the most brilliant witty and charming book I have read since I can’t remember when” by The New York Times when it was originally published in 1956, Rose Macaulay’s The Towers of Trebizond tells the gleefully absurd story of Aunt Dot, Father Chantry-Pigg, Aunt Dot’s deranged camel, and our narrator, Laurie, who are traveling from Istanbul to legendary Trebizond on a convoluted mission. Along the way they will encounter spies, a Greek sorcerer, a precocious ape, and Billy Graham with a busload of evangelists. Part travelogue, part comedy, it is also a meditation on love, faith, doubt, and the difficulties, moral and intellectual, of being a Christian in the modern world.